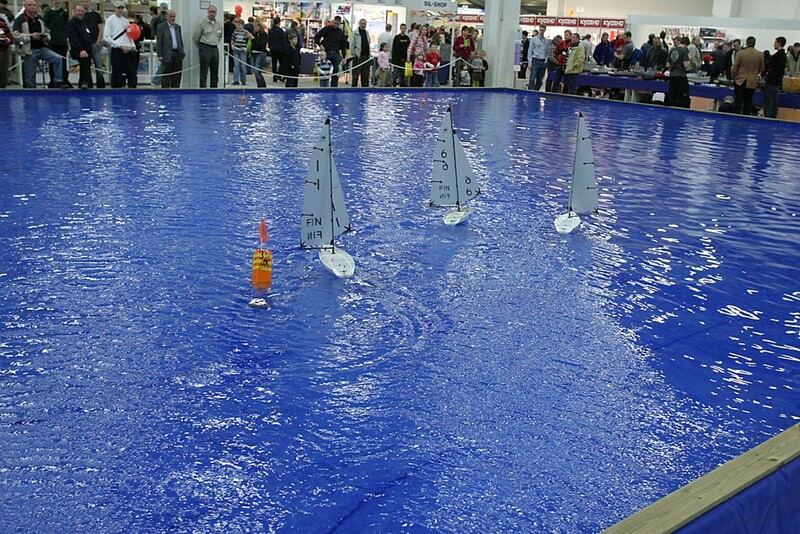 Our main new attraction for this year was Micro Magic sailing in the pool - and it worked great! 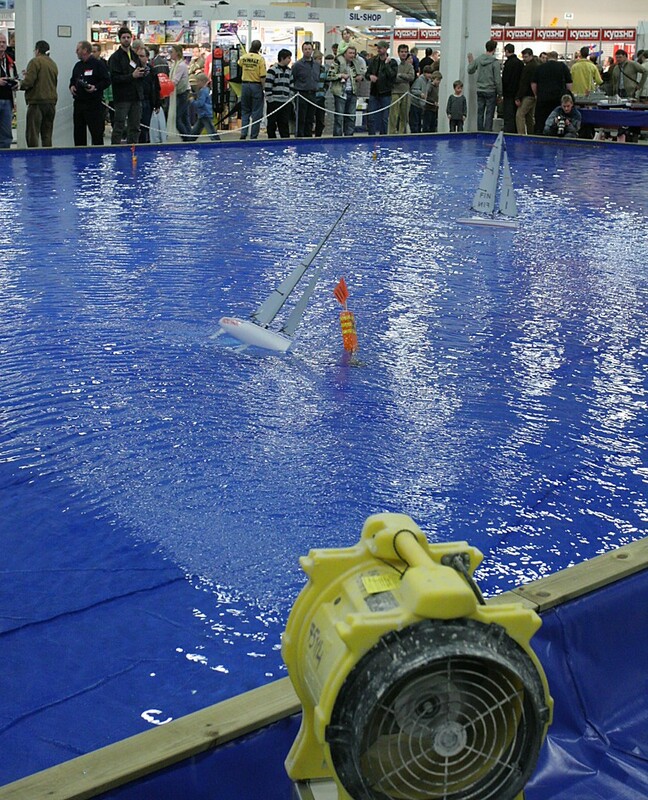 This picture shows a general view of the pool, the marks, and the blowers(the yellow and blue fans at the top of the picture) that created wind for us. 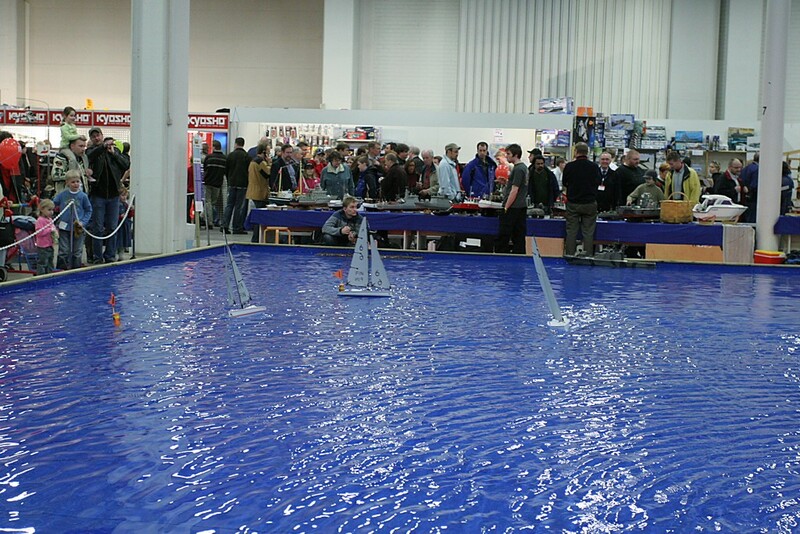 The size of the pool was 14x17m and we sailed a windward-leeward course along the diagonal of the pool. Here the boats are rounding the leeward marks. Rounding the top mark, with one of the fans in the foreground. Looking for the stream of quickly moving air on the run. What can be done better next year? Now we have three boats, but there's certainly room for more. Perhaps up to 6-8 MicroMagics could be sailing at the same time. I'm sure that would please the crowd as there will then always be something to watch and incidents all the time. One or two more fans would not hurt either. The power of the fans was fairly OK with a nice gust towards the top of the course and steady decreasing wind towards the leeward marks. 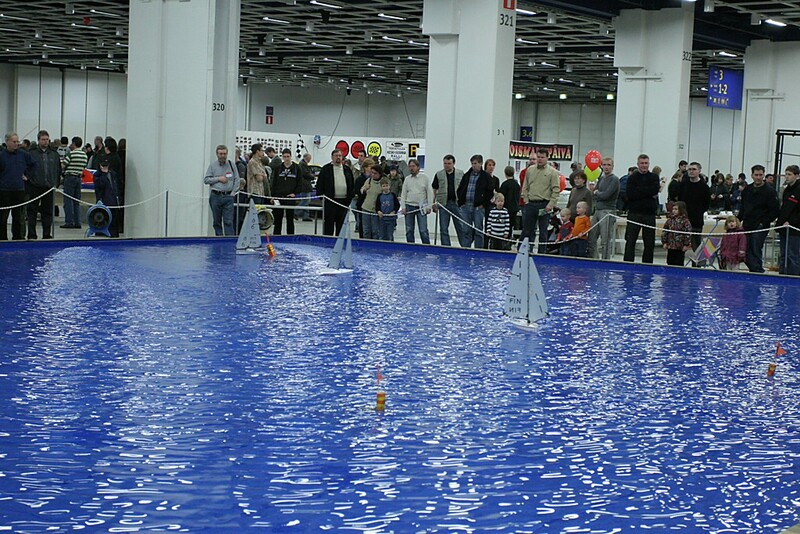 Finally, frequency allocation between us, the motor boats, the car track, and robo-war was a bit of a hassle - bring only 2.4 GHz radios next time! 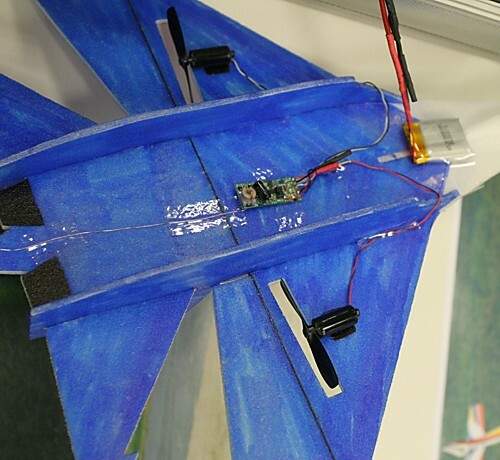 Even the smallest mini servos are too heavy for the lightest models, so people use these more or less home-made coil/magnet actuators. 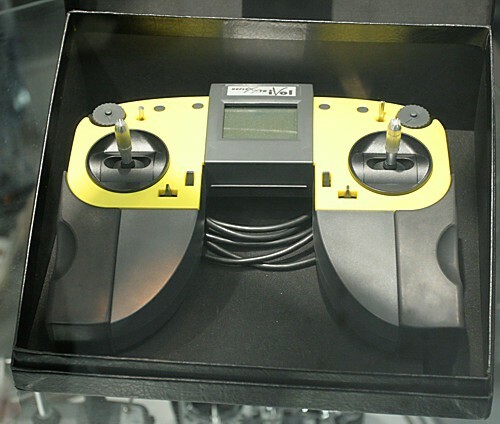 There are two magnets, one on the moving control surface, and one on the stationary part. 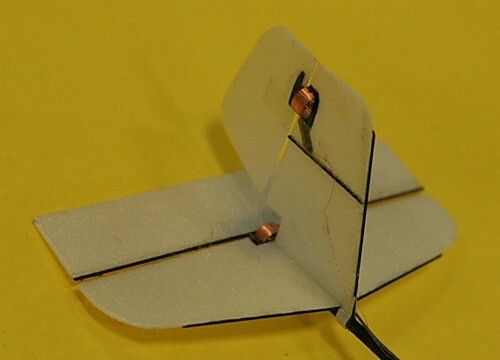 The stationary magnet attracts the moving magnet and thus centers the control surface. When a current is applied to the coil the control surface can be deflected each way. Weight 0.3g . Brilliant! More and more devices are showing up on 2.4 GHz. 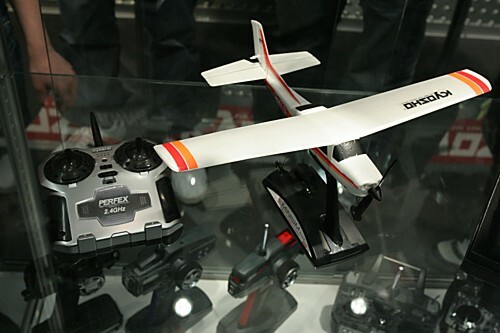 This is a ready-to-fly plane and transmitter from the Kyosho stand. With the electronics becoming cheaper and cheaper all the time I'm sure these things will show up in supermarkets for about 50 eur or so. 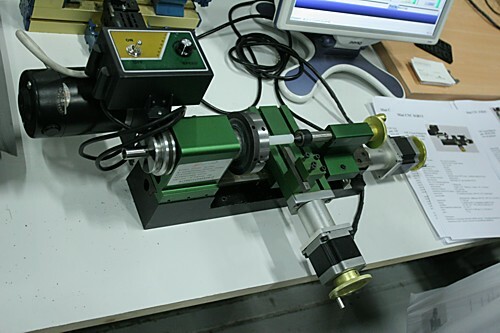 One company was showing tiny cnc-lathes and mills. These were from some uknown Asian company. 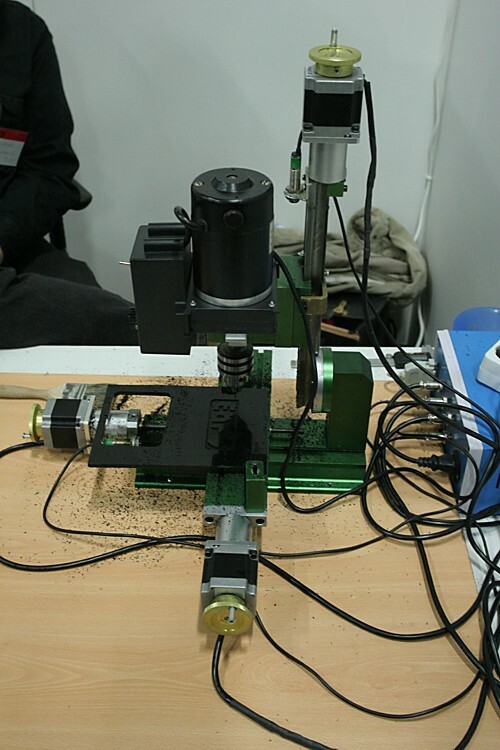 Looks like they are entry-level hobby-cnc stuff: small stepper motors connected to normal threaded screws. 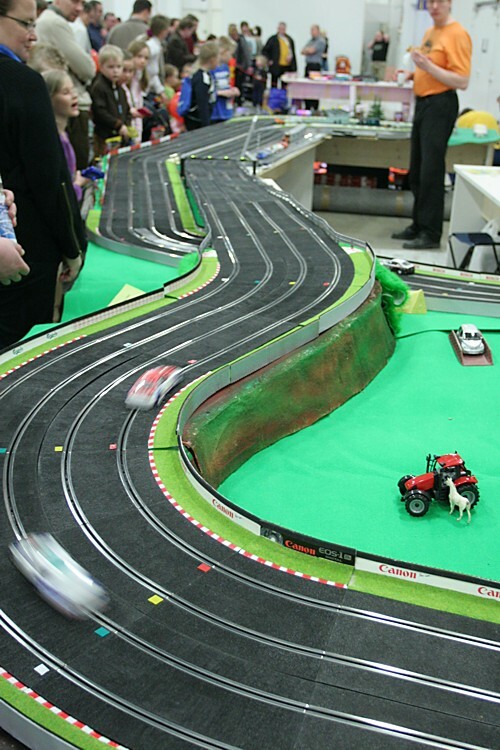 A nice long-exposure shot of one of many slotcar tracks. I'm hoping to shoot some sailing videos tomorrow.